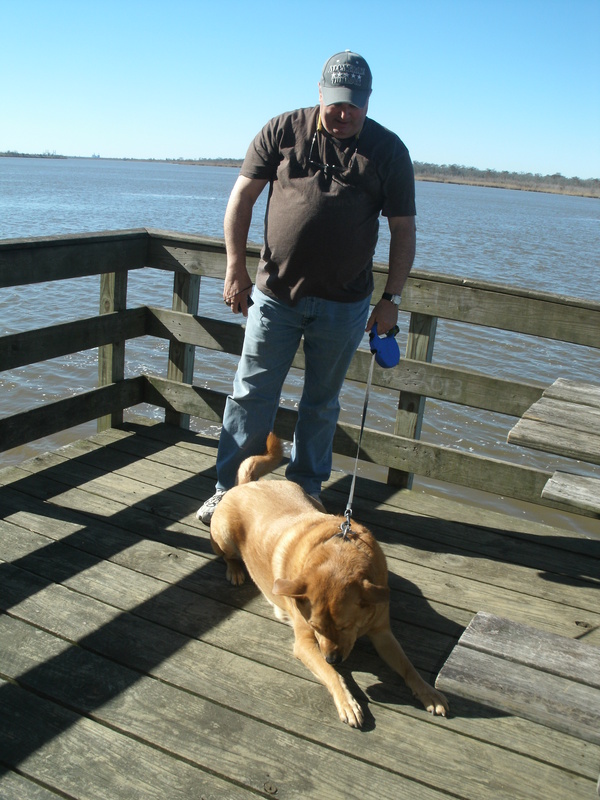 Today, Jim and I decided to enjoy a beautiful Sunday outside; the sun was shining and temperatures were in the mid to upper 60s – too nice to be indoors. 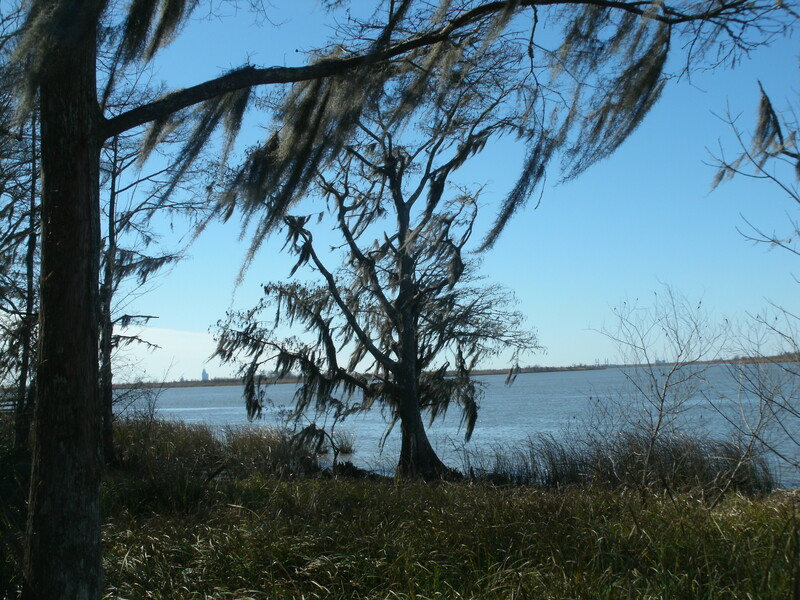 Blakeley State Park, located along the eastern side of the bay areas of Mobile, is about 30 minutes from where we are staying. We were so intrigued by what we found that we decided to go back to the RV to get Chewie; we knew he would enjoy the outing and feared we might be gone too long exploring for his comfort at the camper. The park is rather large and diverse in its offerings. As the quote above demonstrates, the history of the land in and around the current state park goes back to pre-historic times, and by its preservation, it provides continual history and nature lessons today. 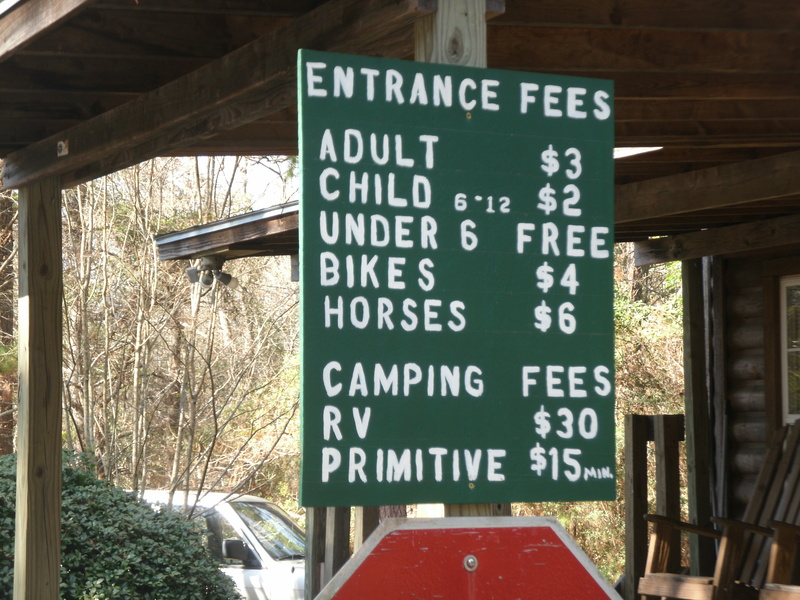 Walking, biking, horseback riding, camping, etc. 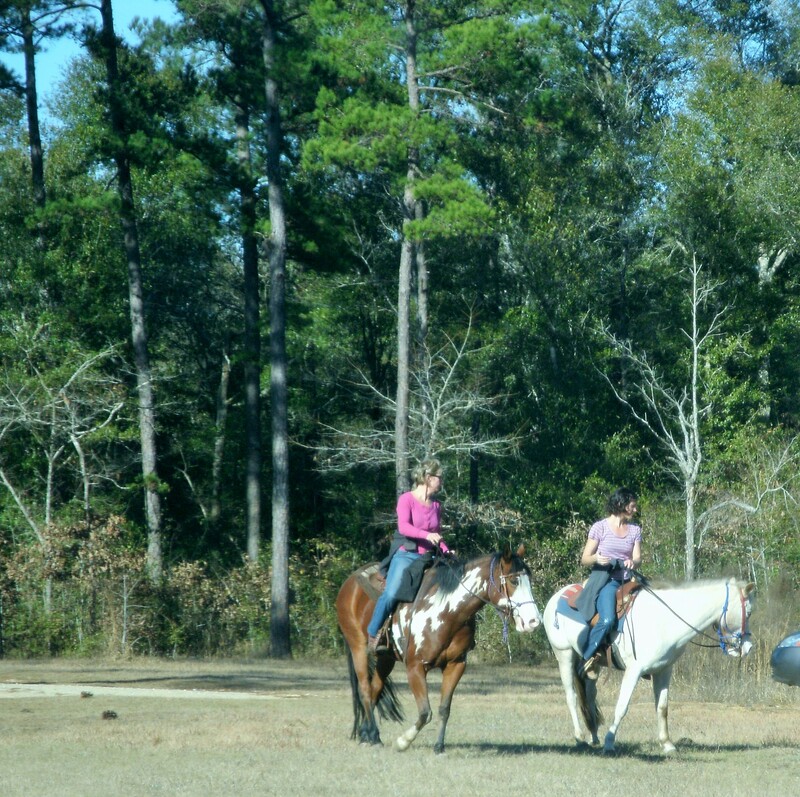 – folks were all over the park enjoying its amenities, yet it was not so busy that one could not relish a quiet moment on the trails or at the battlefield. 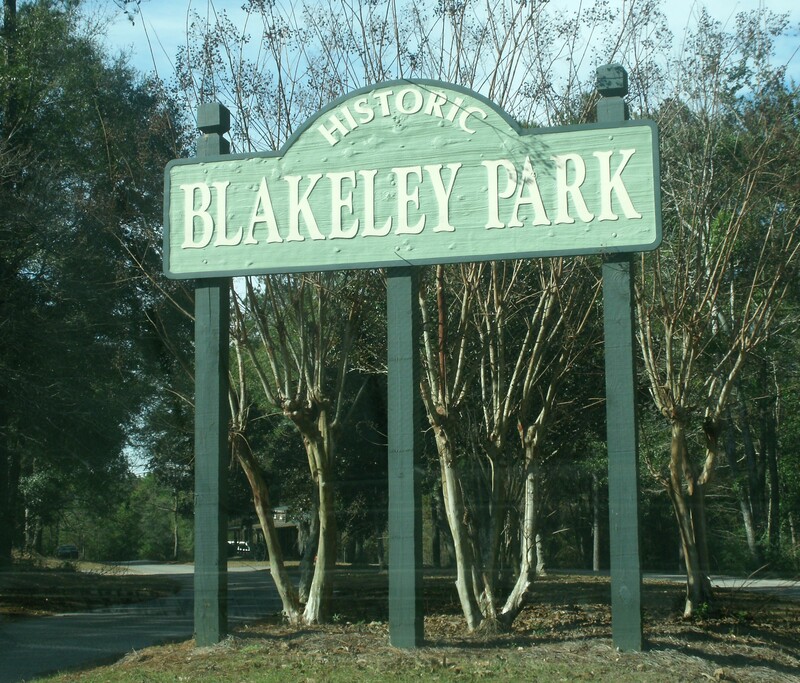 The vast majority of things to see and do at Blakeley Park are outside, and it is very natural. I saw no pavement, but there are board walks as needed. We walked the bottom land boardwalk alongside the bay. 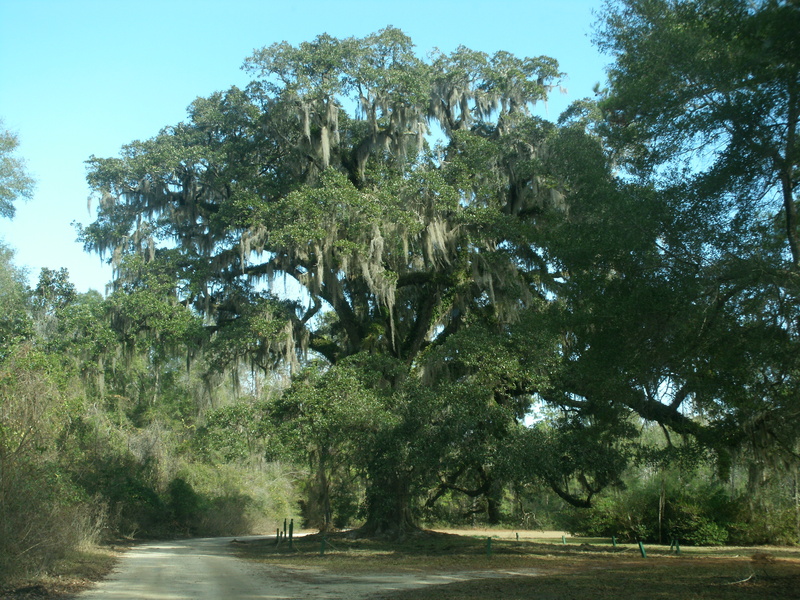 Trees were heavy with Spanish Moss that waved in the wind. Across the bay, the sky scrapers of Mobile were easily visible. As we crossed the bogs and thought about those who had fought here April 9, 1865, the terrain must have been almost as frightening for them as the battle itself. 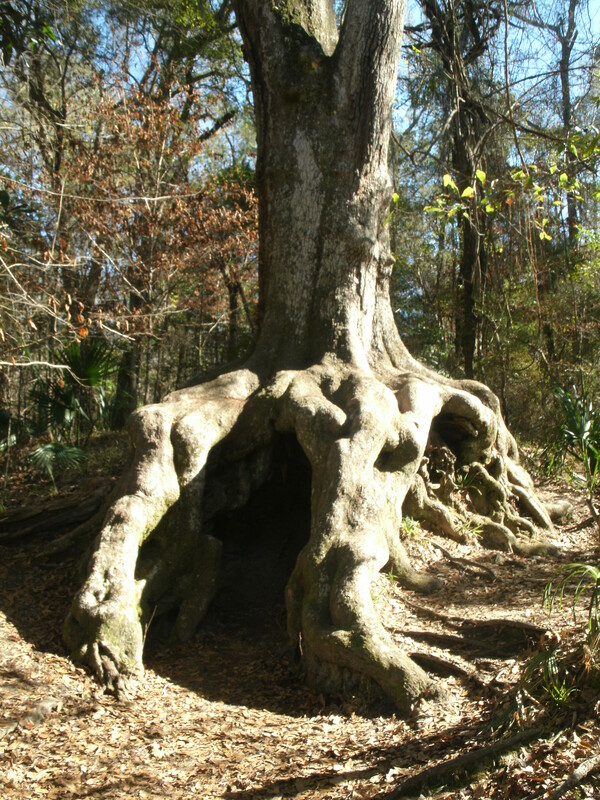 Not too far from the beginning of the bottom land and between it and a bayou is a tree of ancient years with a hollowed area. This tree is known as Hiding Tree because it is reported that soldiers fleeing from that Civil War battle hid in its protective cover. The battleground is where men fought and died without knowledge of Lee’s surrender at Appomattox Courthouse earlier on the same day. It was a decisive Union victory, and the city of Mobile fell three days later. How awful for the families of the men who died or were wounded or who were captured and may have died by other means before being released – had only word reached these two opposing armies that the war was over first, then perhaps this blood shed could have been avoided. Truly, if one can sit still, the whispers of those who lived and died there in the past may actually speak to him through his heart, mind, and spirit. I will admit that Jim and I also discussed how spooky of a place the park must be when fog rises off the bay and there is only partial moon light. These majestic trees with their unusual twists and turns, long and flowing limbs, and covered in low-hanging Spanish Moss could spur one’s imagination into pure fear; one might think that he or she has truly seen a ghost in such atmosphere. Lucky for us, in the daylight, it is a lovely place. January 19, 2015 in Fun Seeking.